In today’s world having access to the internet where ever you go is just about a requirement. Most coffee shops and even fast food locations have WiFi internet available for free or for a small fee. What if, however, you find yourself needing to access the internet when you’re not at home, in the office, or somewhere with a WiFi connection? Most everyone today has internet on their phone but browsing on an iPhone is sometimes just not what you need. That’s where ‘tethering‘ your iPhone comes in. Tethering your iPhone is simply allowing your laptop to access the Wifi internet connection on your iPhone. Most people think you need to pay high fees or jail break their phone to tether but it is entirely possible to tether iPhone 4 without jailbreaking it. 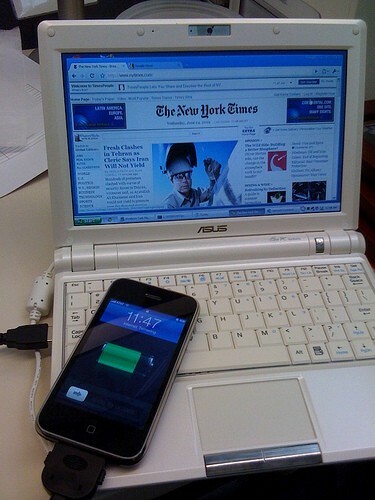 Tethering iPhone 4 without Jailbreaking it is a pretty simple process and allows you to unlock the power of the internet, including flash, through your phone but on your laptop or Computer. One of the biggest complaints people have about the iPhone is that they does not allow flash player on iphone. Tethering it to a laptop will just use the iPhone as a connection to the internet but process the flash on the laptop so it will work fine! This unlocks the entire world of flash games, movies and animation for you even when you don’t have your normal internet connection! The simplest way to tether iphone 4 without jailbreak it is to follow the simple instructions listed below. Next, go down to “MobileConfigs” and tap the download button, then choose your country and carrier. The details screen for the app will come up, when it does just hit the install now option. Once that’s done just go to your iPhone’s preferences app, tap general and then Network. At the bottom will be an option for ‘internet tethering’. Flip it to on and you’re ready to go! You will have to connect your phone to your laptop either through the normal charging cable or through a blue tooth connection. Once you configure your computer to connect to your iPhone the iPhone will have a blue bar at the top indicating it is tethered and sharing its internet connection! Its really that simple! Depending on the speed of your network, the iPhone can typically share either an EDGE, 3G or even 4G internet connection. While this is not quite as fast as your home cable based internet, it is certainly fast enough to do any type of browsing you want. With 3G or 4G connections it will be plenty fast enough to stream a movie from netflix or youtube right to your laptop! Learning how to tether iPhone 4 without Jailbreaking it is a great step in increasing the range of your internet to anywhere you want, as long as your iPhone has signal! You no longer have to be tied down to your home, office, or WiFi hot spot to enjoy all that the internet has to offer on a full size screen! Please let us know if the tips on tether iphone 4 without jailbreaking above is not working for you, and tell us all the details by leaving your comment at the bottom of this page.